Our brakes are the one of the most important parts of our car. We use them every time we drive and sometimes we count on them heavily when something darts out or another car stops fast in front of us. How do you know if your brakes are wearing down? When is it time to get them serviced? What can you do to keep yourself safe? What are the warning signs? Usually, when your car’s brakes need replacing, you will hear about it. Turn down the music now and again and listen to your car. Listening is an important part of staying in tune with your car’s needs. Every car’s brake assembly has an indicator, a small strip of metal that makes an annoying but necessary screeching sound when your brake pads are significantly worn. If you hear this obnoxious sound each and every time you press on the brake, this is a very clear indication that it’s time for action. Have your brake pads and rotors examined. Visual inspection can also be helpful. Remove your hub caps or peek between the spokes in your wheels to see the brake pads themselves. Your owner’s manual is a good source for the recommended minimum pad thickness. You can also get your mechanic to visually inspect your brakes when you get your tires rotated. Check the area underneath your car for signs of brake fluid leaks. If you see any fluids under your parked car, it is wise to have these checked out at once. 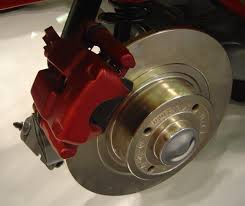 Another indication that your brakes may need replacing is a pull to the right or left when braking. This could mean that your brakes are wearing unevenly or that your brake fluid is contaminated with dirt. Pay attention to the performance of your brakes. If you feel anything unusual in the way your brakes behave like having to press too far or too hard for them to be effective, get them checked before they fail you. The reliable service centers at the Olympia Auto Mall, new and used car dealerships in the Puyallup area, are an excellent choice for brake service and repair. Stay in touch with your brakes and stay safe. You are right, It is the most important part of the vehicles and we always need to care of it before any traveling, It is the cause of safety. If you are tired to find the best quality of Performance Brake Fluids, visit on brakeworld to buy at best price.